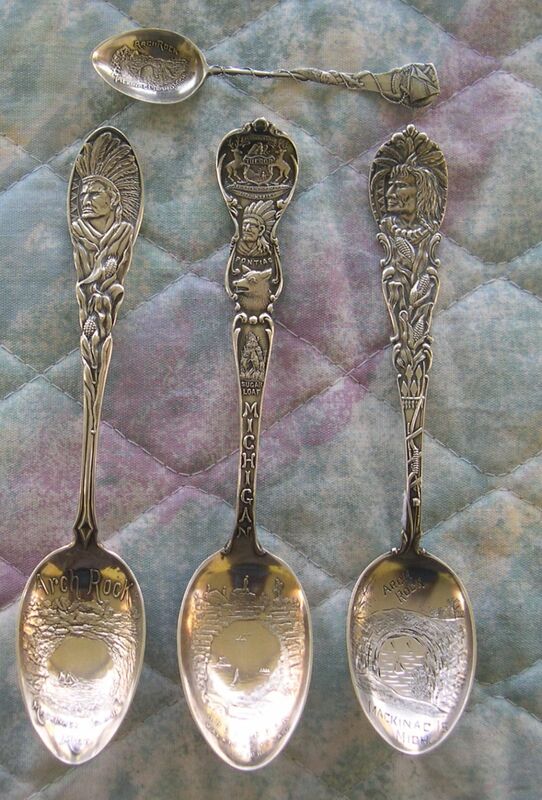 The collector most likely lived in Michigan as all of the spoons were from that area. 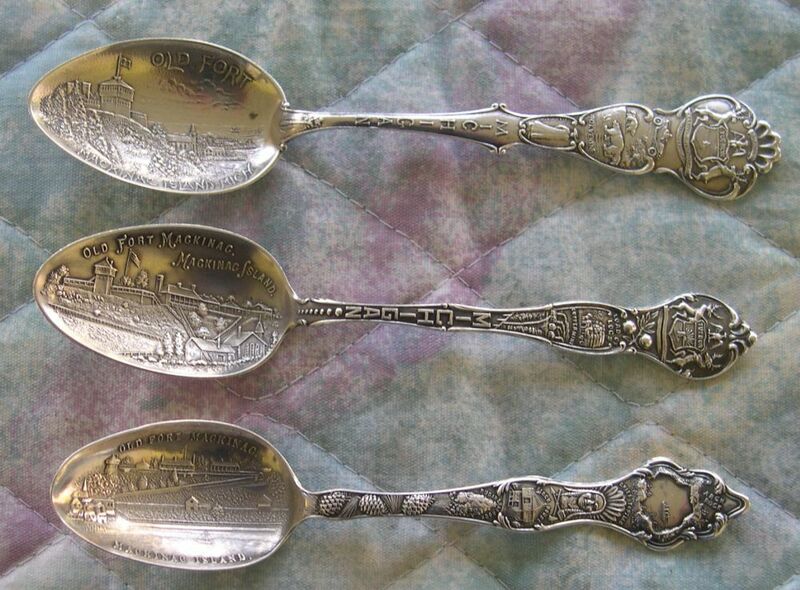 Twenty years ago, it was common to find collections of this type, but now most spoons are from the resale market. 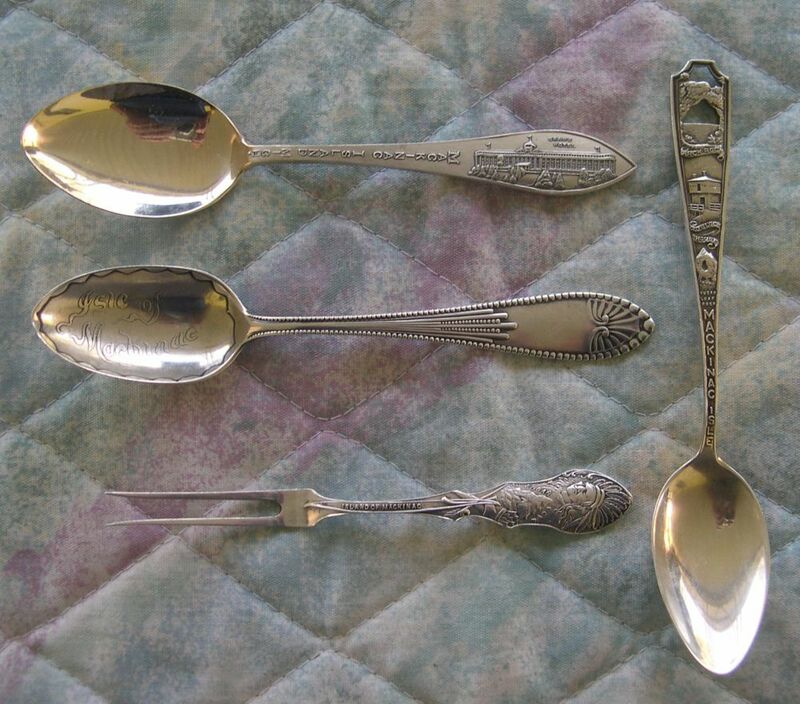 All the spoons on this page are sterling silver. Arch Rock on Mackinac Island is a 146 foot high natural limestone formation dating to the time when glaciers covered the area. Now it is part of Mackinac Island State Park and is still a major tourist destination. The original inhabitants considered it to be of divine power. 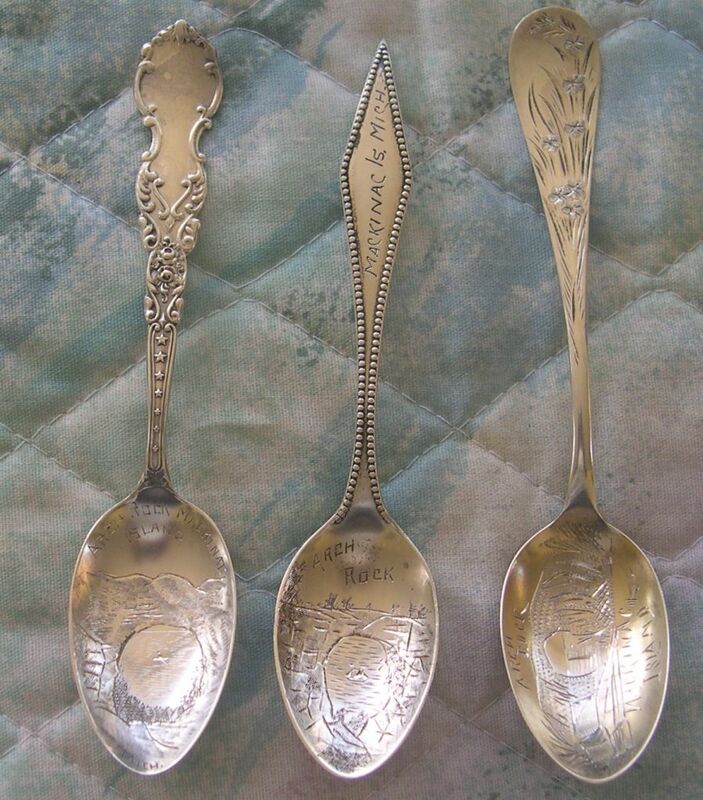 These spoons are from the 1900 era. 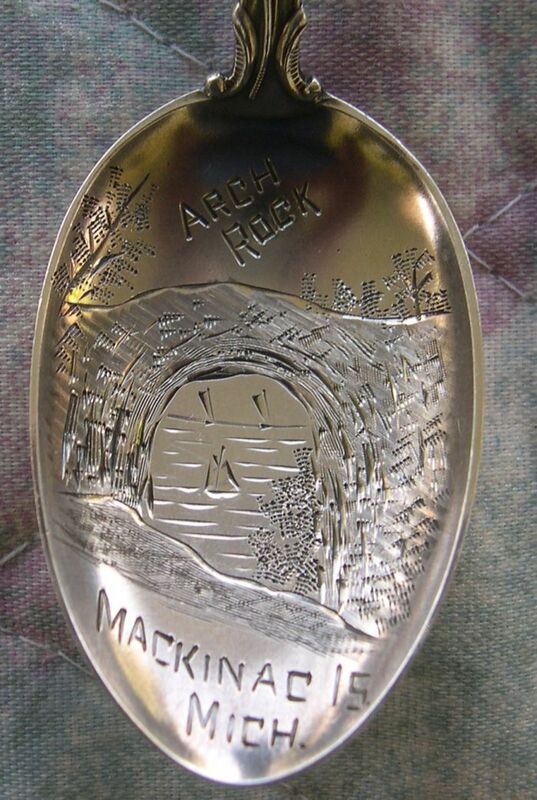 3. nice indian handle with an engraved view of Arch Rock. 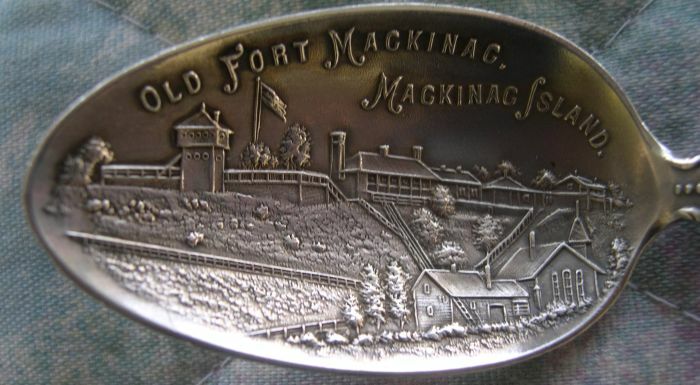 Manufactured by Codding Bros. back of bowl engraved "NE"
British built fort on Mackinac Island to control the strategic straits between Lake Michigan and Lake Huron. 15 years after the Revolutionary war, the British ceded the fort to the American army which used it until 1895. The Poe Locks built in 1895-96 were the largest locks at the time of completion. 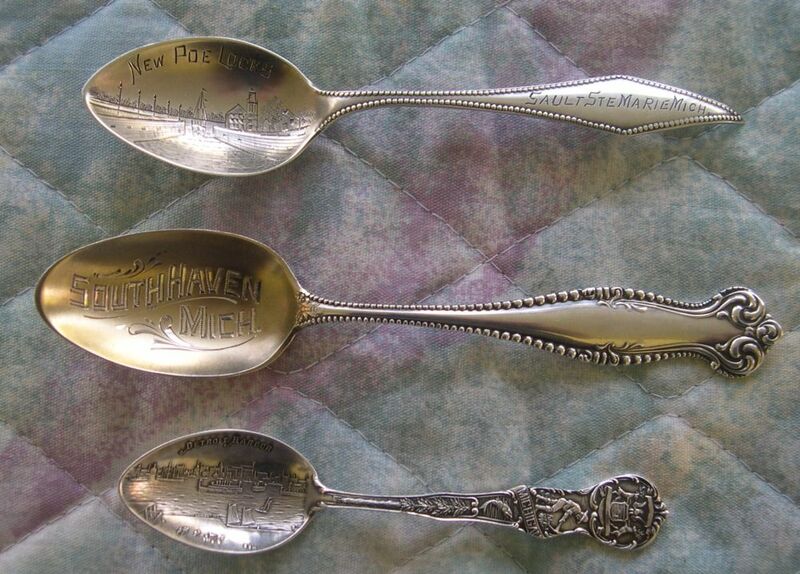 2. generic pattern handle spoon with engraved gold washed bowl engraved "South Haven, Mich". Back of handle engraved "Aug.1899"